Gardiner’s Yellowstone RV Park is unequaled for its unique setting along the magnificent Yellowstone River. 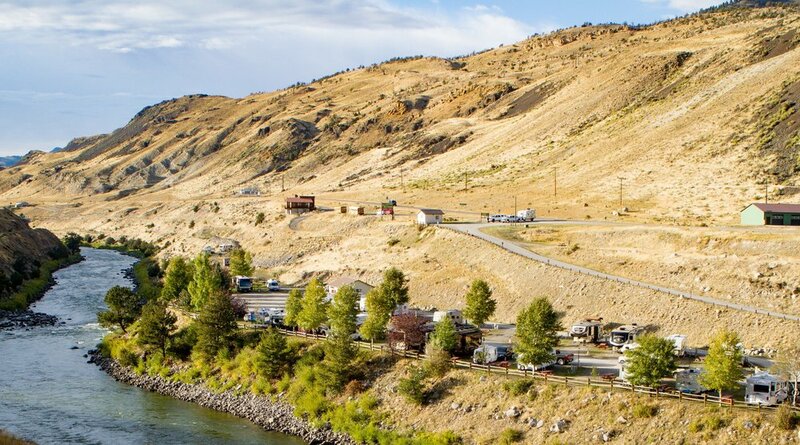 Yellowstone RV Park offers wonderful accommodations for the RV traveler and tenter at reasonable rates. Clean, comfortable restrooms and showers are easily accessed from each site. Amenities include electrical service at each RV site, along with sewer and water hookups, free cable TV and spacious pull-thru sites for the largest rigs. Sites are designed to allow plenty of room for slide-outs and awnings. A laundry facility and the scenic overlook of the Yellowstone River complement this convenient location in Gardiner, Montana. The Yellowstone RV Park is just one mile from the North entrance to Yellowstone National Park.